The darling of high-school basketball doesn’t wear sneakers. It’s the three-point shot that has been flung around with more frequency. It grabs the spotlight to propel teams to their dreams of a championship while delivering a dagger through the hoop of opponents’ hearts. 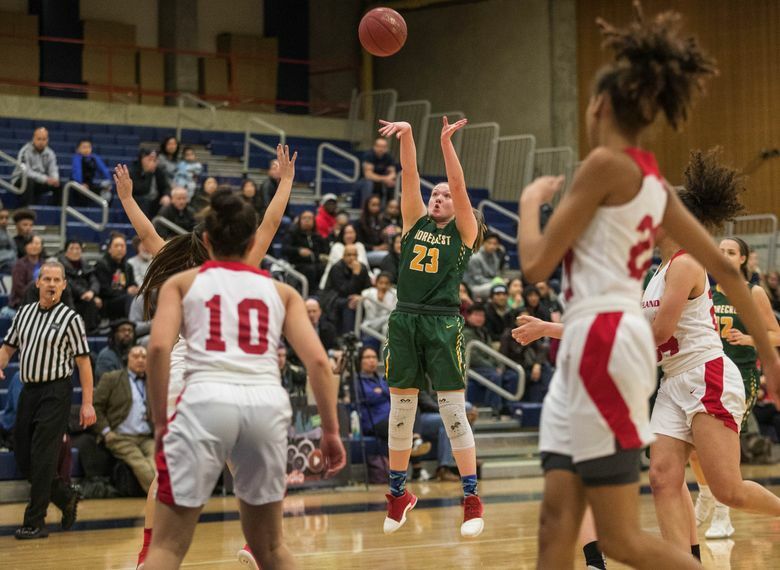 Woodinville senior guard Madison Dubois quickly discovered the value of being able to shoot the three-pointer consistently. She is the top-seeded Falcons’ go-to player for three-pointers, shooting 33 percent from that range this season. In a Class 4A girls state tournament quarterfinal game at the Tacoma Dome last year, Dubois scored a game-winning three in overtime. Earlier this month while the Seattle area was buried in snow, Dubois had her father shagging rebounds outside at a neighborhood park for an hour as she practiced shooting until her hands froze. Dubois wanted to stay sharp for when school convened and playoff basketball could start. The three-pointer’s debut was in 1961 as part of the men’s American Basketball League, which folded before completing its second season. The American Basketball Association picked up the shot in 1967 as another way to attract fans while competing with the NBA, which began in 1946 and dismissed the shot’s appeal. Despite the ABA merging with the NBA in 1976, it took Magic Johnson and Larry Bird’s rookie season in 1979 for the league to adopt the crowd-pleasing three-pointer. The NCAA didn’t budge until 1986 and high schools, which have the line at 19 feet, 9 inches, followed for its 1987-88 season. Chris Hyppa, a basketball skills trainer and former assistant boys coach at Foss in Tacoma, said the Falcons were able to win the 2017 Class 2A state title banking on opponents looking to draw defenses into the paint to find an open player on the perimeter to hit the three. Even before coaching high school, Hyppa knew the impact in running basketball camps. He’d walk into the gym and see dozens of grade-school boys and girls dotted behind the arc heaving three-pointers. Nothing is better than the three-point buzzer-beater come playoff time. 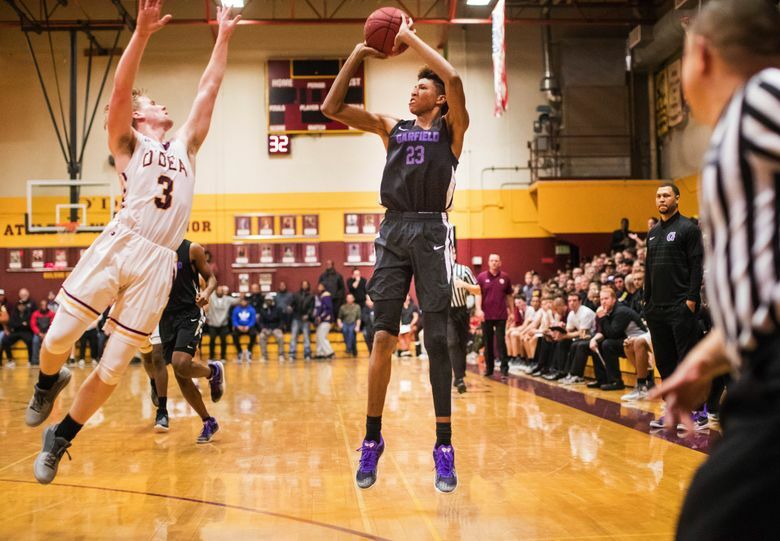 “I used to have a mini hoop in my bedroom and probably did a countdown to hit a (winning) three-pointer a thousand times,” said Gonzaga Prep forward Anton Watson. The 6-9 senior caused the Tacoma Dome to erupt in excitement last year by nailing a game-winning trey against Richland in the Class 4A boys semifinals. The Bullpups went on to defeat Federal Way for the title.